Set up the feature by first navigating to the &apos;Settings&apos; tab in the platform admin. 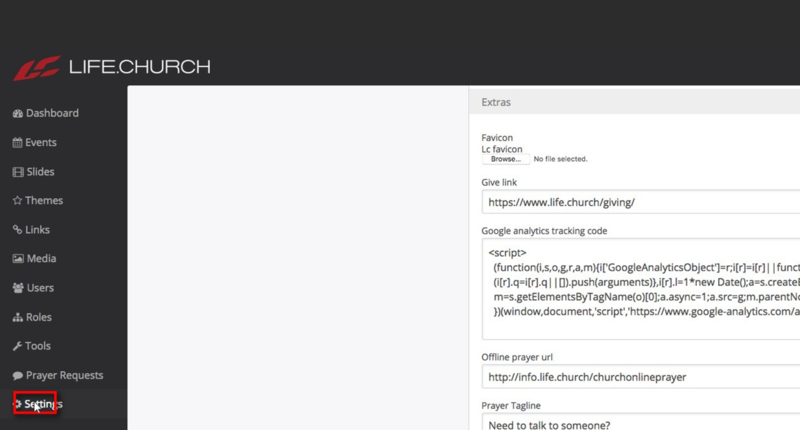 Type or Copy + Paste the URL to your church&apos;s Terms of Service. Users who click on the "Terms of Service" link next to the checkbox will be taken to this URL. These checkboxes will not appear in your signup modal until your changes are saved. you have not added a URL into at least one of the fields.